How to make Valentine’s Day decor, DIY conversation heart mason jars with a Cricut. 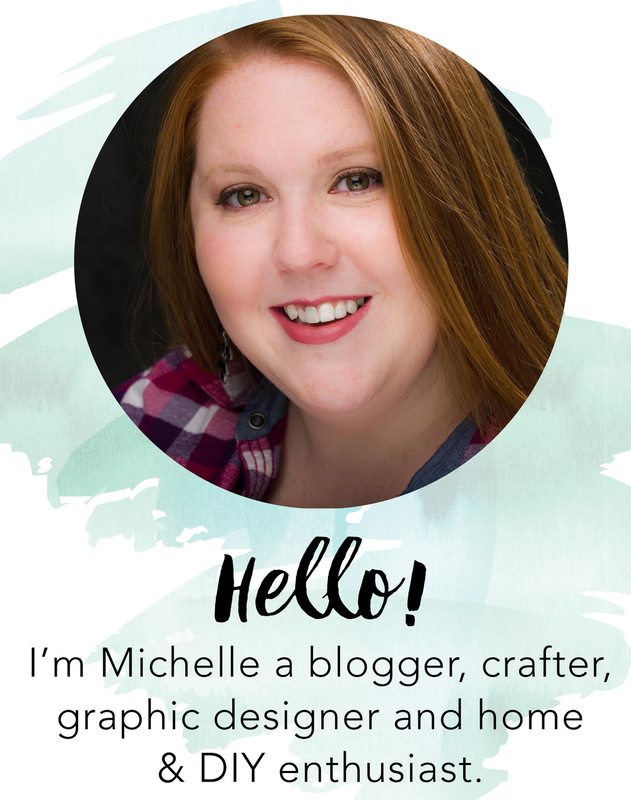 Today I am joining up with some of my favorite crafty bloggers to share Valentine’s Day mason jar crafts. Make sure you stay until the end of the post to see their projects. I decided to use varying heights of the mason jars to give it more of a dynamic look on the self with more visual interest. Here is my biggest tip when painting mason jars. No matter what the color you are painting make sure to do a coat of chalk paint. It acts as a primer and let’s you paint smoothly over it when dry. When the chalk paint is dry you are ready to paint you mason jars. I choose a pastel pink, yellow and green. I used multi-surface paint that I already had and added white to each color until it was close to a match of a conversation heart. Now that the mason jars are painted you have two options. First being to hand paint the conversation heart sayings on to the mason jar or secondly if you have a Cricut you could cut vinyl lettering. I tried to hand letter the mason jars but my hand writing is not that good so I decided why not try vinyl. You can use this design space file. When I am cutting more than one design out I like to put weeding boxes around the cuts. This helps control the amount of vinyl you will need to pull up and you will be less likely to get your vinyl stuck to one another. Double check the size of you lettering to your mason jar then click make out. Select your machine and your material. Load your standard grip mat with your vinyl on it into the Cricut. Press the flashing Cricut to start the machine. Make sure to weed the excess vinyl until you just have your lettering. Using transfer tape transfer the vinyl on to the transfer tape. Cut each phrase so its on its on. Place the transfer tape on to mason jar. Using your scraper tool or credit card lightly rub your vinyl onto the painted mason jar. 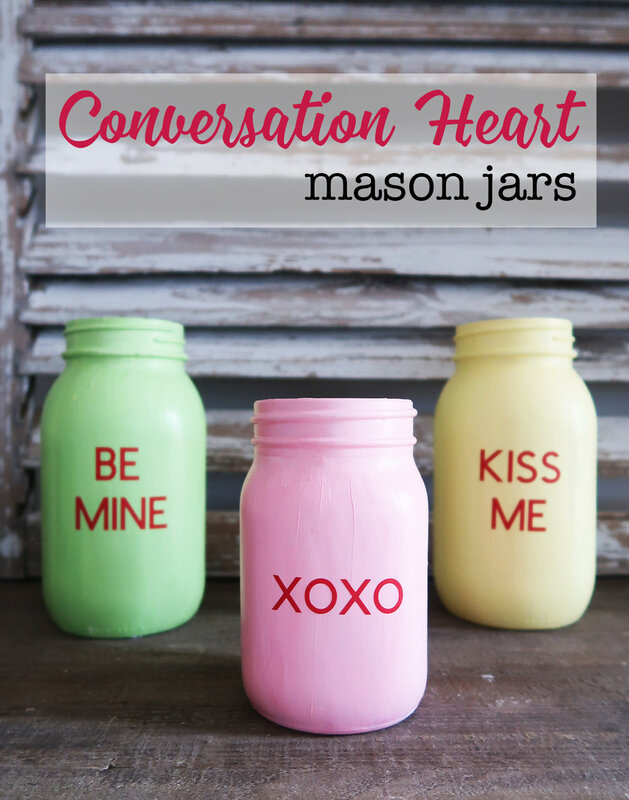 Peel off the transfer tape and you have a DIY conversation heart mason jar. Now if you don’t want to use these sayings feel free to personalize them in design space. I love that even with out the heart because the colors and the phrases are so iconic you immediately get what it is. Like the love sign? Check out how I made it here.